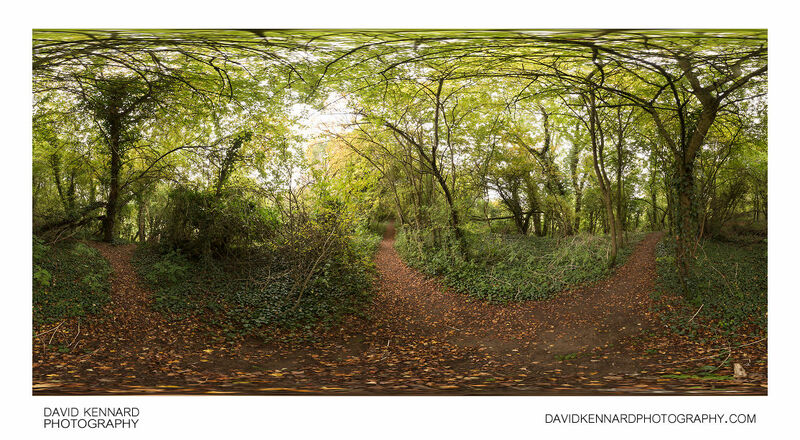 Panorama along the old railway line between Market Harborough and Lubenham. The line used to be part of the Rugby and Stamford Railway, but was closed under the Beeching cuts in the 1960s. Today the line is still used, but as a footpath, with trees grown up over either side of the line.